Everyone who knows me knows I love a good clean home. First of all, because it’s part of my personality (forever loving tidying and cleaning) and partly because it helps with keeping my mind calm and focused. If my house is in order, my brain is in order too. And since our rental kitchen makeover, I’ve very much been on it ensuring it’s kept nice and tidy. I’m very particular in regards to the products I used. 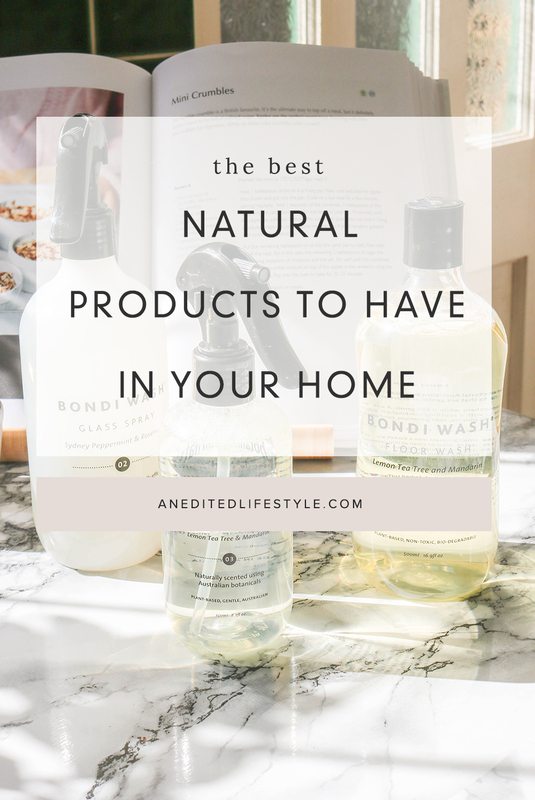 Furthermore, with a pull towards protecting the environment and do what we can for the planet, I’ve been looking at introducing natural cleaning products into my home for a while now. After all, we can all being doing more to help the environment. 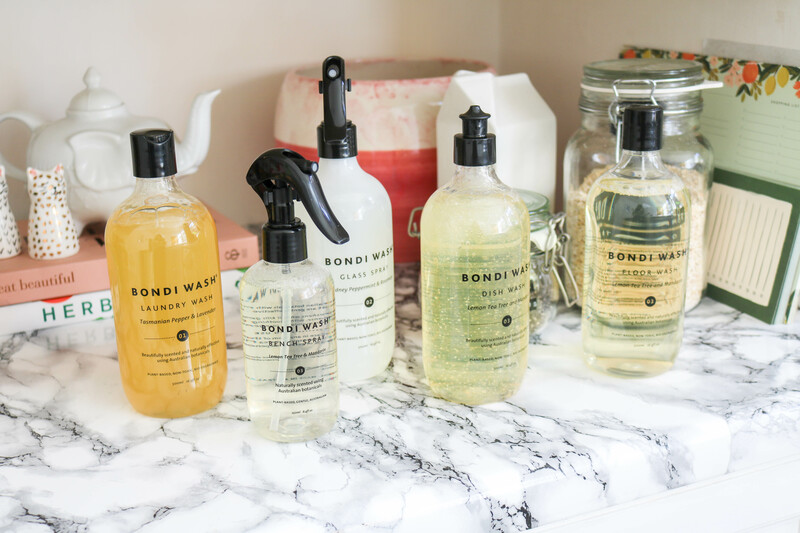 Recently, I’ve discovered Bondi Wash, which is helping me to do that little bit to help the planet. We don’t have a dishwasher in our home, so we’re cleaning our dishes the good old fashion way. Now, there are many good dish wash that you can pick up at your local supermarket. However, none smell amazing as Bondi Wash’s dish soap. It is fragranced with lemon, tea tree and mandarin. 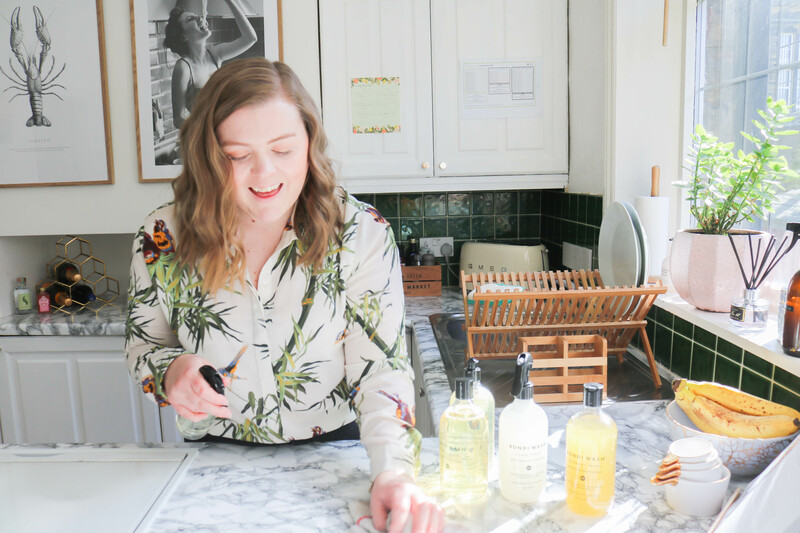 An absolutely divine scent to have in the kitchen! It is such a light and citrus fragrance that just makes everything smell fresh and clean. Also, as their products are 99- 100% natural ingredients, my skin doesn’t get irritated as they can do when I use soap (I’m allergic to it). yes, it’s more than the usual dish wash that you pick up at your supermarket. 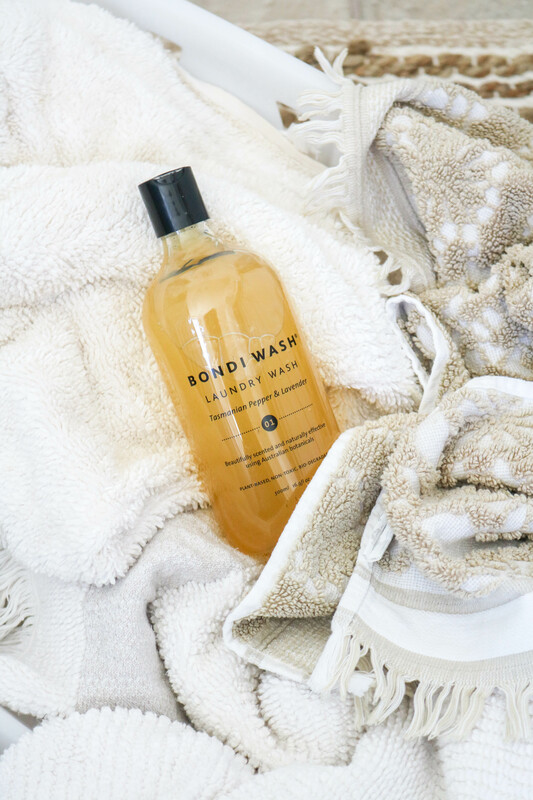 However, Bondi Wash advises that their product lasts up to 50 standard washes. So the cost-value is there for me. The most important places you need to clean in the kitchen. Your countertops, your windows and your floors. Areas that are constantly getting dirt on them and need regular, light cleaning. 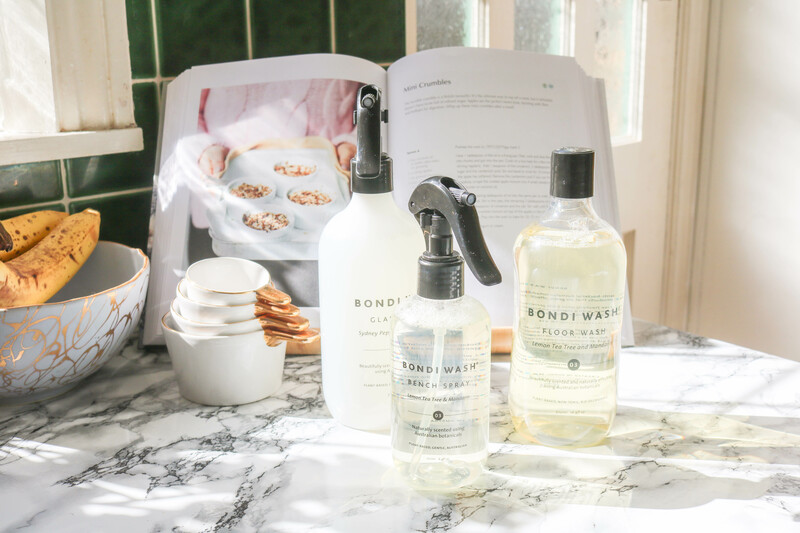 I love the Bondi Wash bench spray, which is the same scent as the dish wash- keeping a cohesive scent throughout the room. It also leaves my surfaces looking sparkling and clean. I also love their glass cleaner. 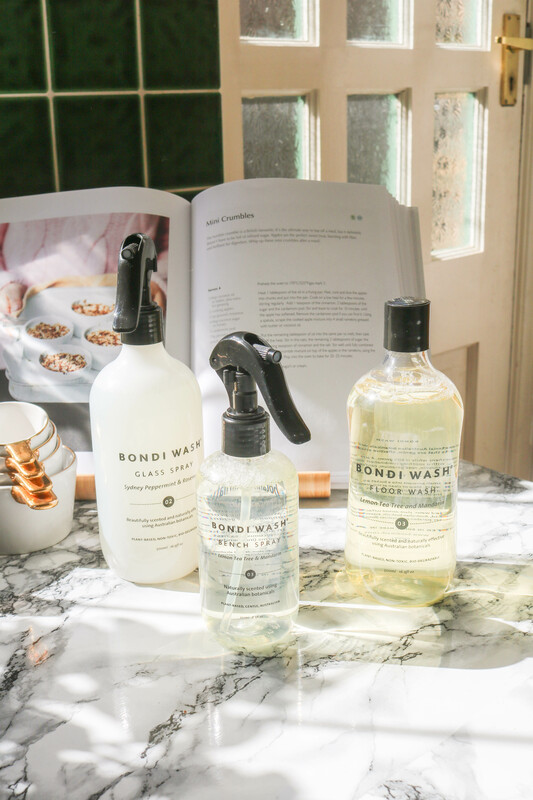 This is one of my favourite scents from the Bondi Wash collection- Sydney peppermint and rosemary. Absolutely gorgeous! Finally, I finish off cleaning my kitchen with Bondi Wash floor wash. This one is again in the citrus scent. I easily add it to my spray mop. 15 minutes and my floors are sparkling. I’m a sceptic of new laundry products. Because of my dry skin and allergy to soap, there are only a few products that I can use that doesn’t break me out in a rash. So when Bondi Wash laundry wash was gifted to me, I was cautious to use it. I’ve only been using it on my towels but so far it’s been doing the job just fine. No reaction which is a huge plus. They also smell incredible (as have most of the products from Bondi Wash), with this one being Tasmanian pepper and lavender. 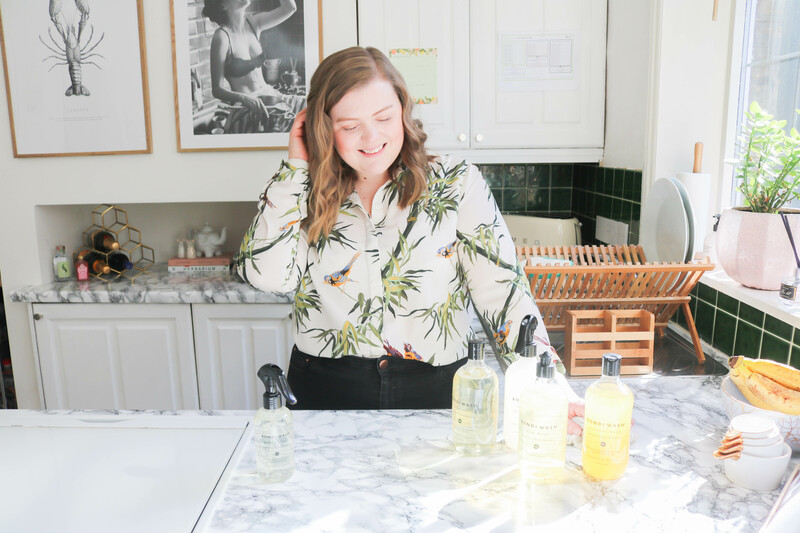 I’ve loved it so much I purchased a new bottle and I’m going to make the jump to washing my clothes with this gorgeous product very soon. I hope this post inspired you to try a new product in your home. Which products will you be giving a trail? 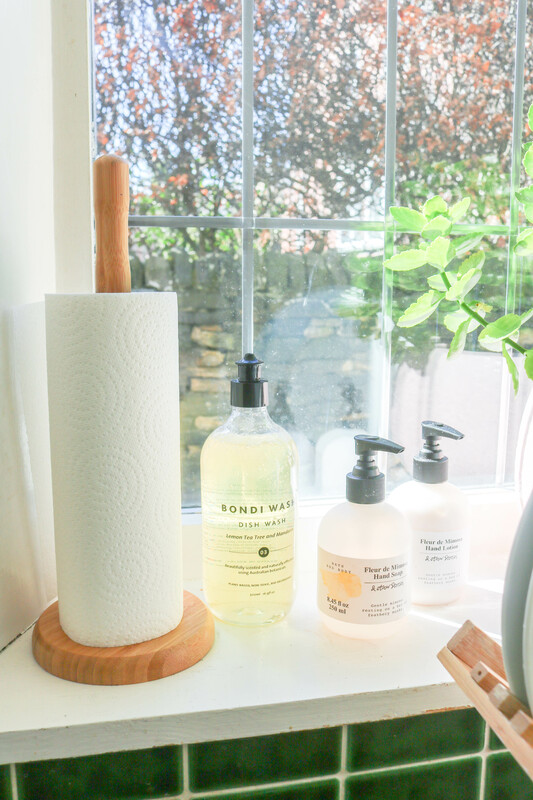 This post was created in collaboration with Bondi Wash. All thoughts and opinions are my own.